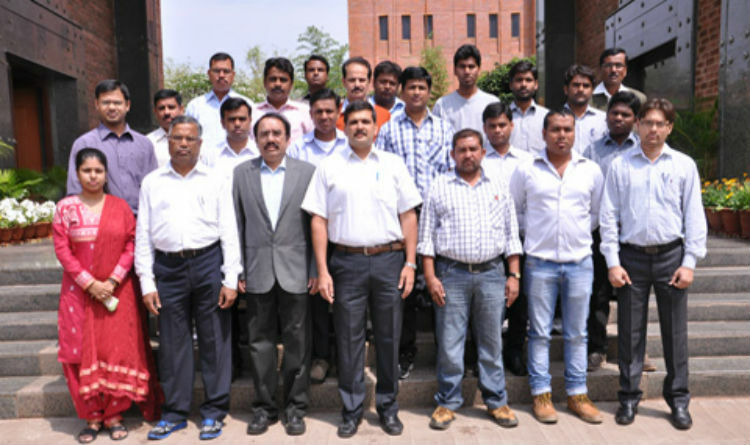 Institute of Management Technology, Nagpur has instituted the Centre for Corporate Governance (CCG) to produce and encourage top-quality academics research and to promote dialogue in the academics and business communities on corporate governance issues. To become a premier Centre of Excellence in Research, Teaching, Training and Advocacy in the field of Corporate Governance and Corporate Social Responsibility (CSR) through creation and dissemination of knowledge and provide policy support to government, regulators, professional and industry bodies on Corporate Governance and CSR. Examine and identify the contemporary corporate governance challenges and develop sustainable governance models which protect and promote the long term interest of different stakeholders. To conduct research, analyze the trends and come up with meaningful conclusions and recommendations in the area of Corporate Governance & Corporate Social Responsibility. To examine critically the developments in the institutional, legal and regulatory framework for corporate governance in India and abroad. To study board practices in closely held family business companies, promoter controlled large listed companies, government controlled public sector companies and other corporate entities. To provide expert advice on issues relating to governance of public organizations. To establish collaborations with various research agencies, Chambers of Commerce, Universities and practitioners in India and abroad. To organize national / international conferences, seminars in Corporate Governance, CSR and Business Ethics. To provide policy support in the area of corporate legislation and regulation. To disseminate the knowledge in the area of Corporate Governance and CSR by partnering with reputed National & International Universities, Institutions, Centers of Learning, Research Agencies, Chambers of Commerce engaged in similar activities. Centre of Excellence for Sustainability, Growth and Development (CSGD) was established during the academic session 2012-13 with a mission to apply sustainable principles to development projects that meet present and future organizational goals and societal needs. As witnessed in early 2000s and in the aftermath of the recent Financial Crisis, organizations are increasingly becoming unstable raising the questions of long-term sustainability for all the stakeholders. Pressures from various stakeholders are compelling businesses to take proactive steps to ensure sustainability in their operations, reporting, and compliance and their business practices. These pressures can be from the external environment or from within the business enterprises. The key external environmental influences are customers and social activist groups who are increasingly becoming concerned about the impact of businesses on the environment and society. Another strong motivating external influence is the fact that Indian businesses, by following international sustainability practices, can increase their attractiveness to forge partnerships globally adding value. Additionally, the pressure to create and enhance value on a sustainable basis comes from within the organizations and from salient stakeholders. Subsequently sustainability can be used as a competitive advantage by introducing innovative environment friendly products that lead to additional revenue streams and contributes to increase in brand equity. In the 21st Century, being sustainable is no more an option to organizations but it is imperative to the growth of the organizations and the stakeholder value. To apply sustainable principles to development projects that meet present and future societal needs. Development and Sustainability - Other important challenges are India's food security, energy security, sustainable growth, urbanization and challenges faced by nations like India and other emerging economies. Life Cycle Assessment and Carbon Footprint. Sustainability of development is based on the principle of social justice, which is the principle of 'equality'. A 'Just' society is developed in a manner that ensures equality of benefit of economic development across the different socio-economic strata, different regions of the country (and the world) and also across the different generations of population. The recent global financial crisis and its negative economic consequences have exposed the inequality of social development, where wealth is concentrated in the hands of few and majority have been left without access to basic requirements of social mobility, namely education, healthcare and unemployment and retirement benefits. Strict migration laws are been implemented even though capital has been made far more mobile across nations. The poorly regulated financial sectors have given birth to some unsustainable business models. The principle of maximization and greediness rather than optimization of utilization of natural and common resources has resulted in fast depletion of resource base, high level of environmental damages and increased frequency of natural disasters which may have been avoided or the impact could have been minimized had the nature was allowed to preserve its flora and fauna in the ideal way. Nations are increasingly getting hostile with each other in sharing natural resources like river water; deposit of oil and minerals. Health hazards due to pollution has seen an increase in fast growing nations, that pay no concern for controlling and regulating the environmentally harmful effects of large-scale industrial expansions. n view of all such developments, one has to re-look at the present national and global practices in terms of government policies, corporate strategies and also individual lifestyle to promote equality of opportunities, equality of benefit and equality of access to resources across nations to various socio-economic groups and generations. The centre will identify, analyze and share knowledge that could be helpful in understanding and implementing policies that would be based on principle of equality and economic justice for all. Over the two-decade long years, which have followed the initiation of major economic reforms in June 1991, the Indian Inc., has undergone a radical change. The severe balance of payments (BoP) crisis on the foreign sector forced the policy-makers to undertake drastic measures and initiated a wide-range restructuring and stabilization measures to correct serious macroeconomic imbalances that had developed over the period and on structural reforms to improve the growth prospects of the economy. The main thrust of New Economic Policy (NEP) has been to make the India Inc., grow fast and efficient. Rapid growth was considered essential as a method of dealing with underdeveloped nature of the economy. The growth was to be achieved through the efficient use of resources for which competition, both domestic and global was considered crucial. In terms of structural reforms, the most significant aspects were opening up of the economy through liberalizing the investment, trade and foreign exchange regimes, and introduction of several innovations in financial sector ushering in an environment of competitiveness. The impulses for growth can be generated and nurtured primarily by releasing structural constrains - such as falling GDP growth rates, unsustainable fiscal deficits, current account deficits, inflationary pressures, unemployment and futility of policy responses - which can shift the potential growth frontier and outwards. More importantly, we need to push up the savings levels still further from the present levels, even if there is an improvement in the productivity of investment and foreign capital inflows. Then only 8 to 9 percent GDP growth, the rate needed to double India's per capita income over the next ten years is attainable in the medium to long-term. According to Mckinsey studies, India Inc. has to grow at a rate of 10 per cent even to support the growing work-force. Other important challenges are India's food security, energy security, sustainable growth, urbanization and challenges faced by nations like India and other developing societies. The concept of sustainability has emerged from ecological marketing, green marketing and social and societal marketing. The area of sustainability marketing deal with meeting needs of customers - present and future generations - through creating, communicating, delivering and exchanging sustainable offerings with superior value. Sustainability Reporting integrates information on the economic, environmental and social performance of a company. Sustainability reporting is gaining importance among number of organizations in India and emerging as a new trend, because sustainability reporting is a voluntary disclosure which acts as a platform for companies to share the information with stakeholders on achievement of economic, environmental and social goals. The increase in sales of electronic goods and their rapid obsolescence have resulted in generation of electronic waste (e-waste). The e-waste has become a matter of concern because of the presence of toxic and hazardous substances used in electronic goods. If not properly managed, it can have adverse effects on environment and human health. Therefore, there is strong need to adopt sustainability practices to tackle the growing threat of e-waste. Environmental impact assessment (EIA) is an assessment of the possible impacts that a proposed project may have on the environment. EIA not only deals with environmental impacts, but also takes into consideration the social and economic aspects. EIA helps the decision makers to know about various opportunities and threats associated with a future project. Life cycle assessment deals with all stages of a product's life cycle - i.e., from raw material extraction through materials; processing, manufacture, distribution, use, repair and maintenance, and disposal or recycling - so as to analyze and evaluate the environmental impact of the product. Carbon footprints deals with amount of greenhouse gases (mainly, carbon dioxide and methane) emitted during the product's life cycle. Common property resources (CPRs) in the context of the rural land and water resources play a vital role in sustaining the local village economies and the livelihoods. An assessment of the traditional common property (CP) institutional arrangements and their role in sustaining the local economies is vital in a country where more than 60 per cent of the population lives in the country-side. In the context of the Indian villages the resources falling in this category include community forests, community pastures, waste lands, common dumping and threshing grounds, watershed drainages, village ponds, rivers, rivulets as well as their banks and beds. Even when the legal ownership of some of these resources rests with another agency (e.g. waste lands belong to the revenue department of the state) in a de facto sense they belong to the village communities as long as the access and user-rights are defined. For the local communities, the neighborhood, and the households, CPRs take on a different significance and complexity. The common property resources (CPRs) and forest produce are particularly pertinent to the poorer households, especially for women and children. The role of CPRs in their day-to-day livelihood changes by season and year. In the dry season, when the crop lands shrink under the sun, the local forests and grass lands provide food and fodder. Especially during drought and famine years, common resources become critically important. Edible fruits, roots and flowers are utilized during droughts and famines by the destitute and starving poor. Due to variety of roles that CPRs play in the rural as well as tribal households, the thrust of the centre is to study its significance in terms of household food security, the farm, employment, the market and the sustenance of village economies and its organization. Further to evolve a case for much needed developmental and national income accounting policies based on CPR perspective. Proactive participation of citizens in the planning, development, arrangement and management of common resources is required for community development. It can bring a drastic change in the levels of education, employment and civic amenities even in rural areas. An equitable distribution of amenities complimented by activism, social enterprise and innovations need to be introduced to common people's life. Providing Urban Amenities to Rural Areas (PURA) is one such concept, envisages sustainable development system. Few functional clusters can be lead examples for stakeholders to redesign their own responses. Major problems related to global warming and unplanned urban development can be mitigated with greening of estate, urban or rural. Amazing stories from water table replenishments with check-dams and reservoir rejuvenation to greening of arid zones are reported. Mass plantations need caring for first three years and they need some planning and management (of plant variety- soil check) before taking up the plantation projects. Government encourages afforestation in many, may it be in urban areas, augmentation at rural areas or plantations at arid areas. With business organizations world over redefining the very purpose of their existence from profit-making to include societal and environmental accountabilities, sustainability has taken a centre stage for these business entities. In the context of the ever changing environmental dynamics for a more inclusive approach to value creation and distribution, today's organizations are in need of such innovative business models and practices to nurture today's management professionals to understand the challenges of sustainability and converting such opportunities into enduring value creation to all stakeholders. 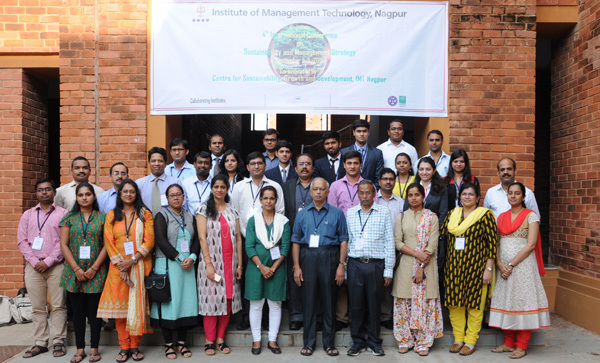 Institute of Management Technology-Nagpur has organized its 3rd International Conference (ICSMS-2014) on Sustainability and Management Strategy on March 21st and 22nd, 2014 at the Institute campus. 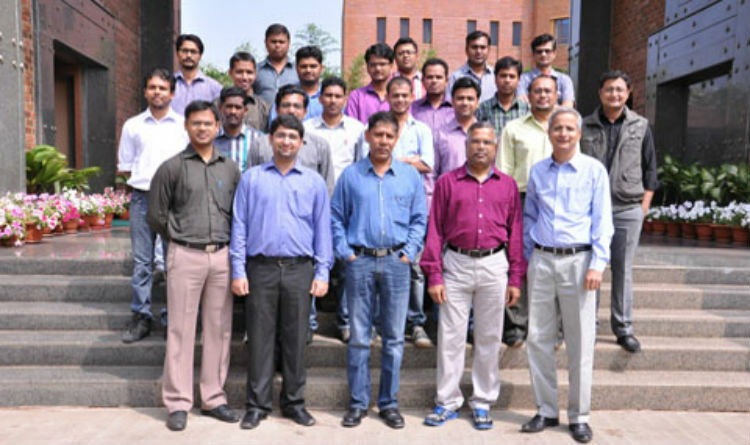 After successfully organizing the First and Second conference at IMT Nagpur's campus & at Bhartiya Agro Industries Foundation [BAIF] Pune respectively; This Third Conference on Sustainability & Management Strategy focuses on areas related to management which are in immediate need of aligning business practices with sustainability. This CSGD plan to organize ICSMS conference on a regular basis and aims at sharing research and experience based knowledge among researchers, academicians, representatives of government agencies and departments, industry professionals, representatives of NGOs, consultants, students and practitioners. The centre supports the conference contributions by connecting authors to the prospective journals and creates a body of knowledge in the form of working papers. The Centre proposes to train and make practicing corporate executive understand the need for sustainable business strategies and how to implement them which would not only be beneficial for society and the environment, but also from the long-run profitability and sustainability for their own organizations. The thrust of the area would be mainly towards education, research, consulting and training and help the corporate world implementing the best practices from the perspective of financial, societal and environmental sustainability of their organizations in particular and sustenance of market growth at large. 4th International Conference on Sustainability and Management Strategy on September 4-5, 2015 at IMT Nagpur.